After student rallies which made national headlines, Vice Chancellor Dr Michael Spence and Director of Corporate Media Relations Andrew Potter justify the necessity of budget cuts. No one in the University objects to student activism and a willingness to get involved in the important decisions of University life. Rallies have long been an accepted part of the campus experience, and spirited debate and well reasoned arguments are to be applauded. But as in all areas of society, there are accepted standards of behavior. Encouraging others to “siege” and “harass management” does nothing to foster sensible discussion. In recent weeks a small number of students have overstepped the line – deliberately disrupting University business and causing injury to staff and damage to property. Would any Honi reader put up with a bunch of people bursting into their house, biting and punching as they did so? This behaviour by a small group is simply unacceptable. There has been a lot of misinformation around the cuts, with the rhetoric of the protests often far from reality. The facts are that we have had to make some serious budget decisions. In the last three years we have experienced a slight increase in overall student numbers but a significant drop in international students. Over the same period, numbers of full time and casual academic staff have increased. The serious shortfall in income from international student fees is likely to continue for the next few years, and the effects will linger beyond that. We can’t make it up by increasing places for local students because we get far less funding from Canberra for each local equivalent full-time student (EFTSL). Cuts simply have to be made and we are trimming all areas, salary and non-salary. 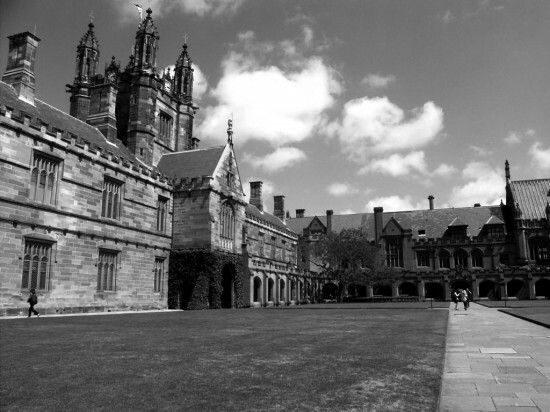 One myth is that Sydney is a rich University with a surplus in 2011. This is nonsense. The figure of $113m in our 2011 financial statements consists of research funds unspent at the end of the year, held for future research spending, Commonwealth grants for infrastructure, and tied donations from philanthropists. This was not profit to be used at our discretion or prop up salaries, but to be spent on specific purposes. In all, we were left with $35 million as discretionary funds. We have to spend that amount maintaining and repairing our buildings just to meet our minimum occupational health and safety obligations. The second myth is that these cuts are “arbitrary and retrospective”, based solely on research output. Nothing could be less true. Research output was the first, and most clearly metrics-based, input into the process. Because students do not formally evaluate individual teachers, we have no objective measure of teaching performance. Our research-intensive university is justified in expecting its academic staff, unless they have a teaching-focused role, to produce research publications, and the measure used was very close to the one agreed to by the Academic Board in 2005. Faculty and Central Assessment Panels spent hours discussing each case to ensure no one was identified for redundancy who had good reasons – from burdensome teaching or administrative loads to individual personal circumstances – for not having published enough. The third myth is that we have placed buildings before people. If the building program was stopped or delayed for a few years, it would be a major disaster. The buildings improve the working, researching and learning conditions of staff and students. The NTEU say we need only delay for 12 months, on the unlikely assumption that international student numbers return to their former level in that time. Additionally, we have accepted roughly $150 million from the Federal government to assist in completing these buildings. These major projects, in particular the Charles Perkins Centre and the Australian Institute for Nanoscience, are desperately needed because having not built modern lab facilities for nearly 40 years means we are falling behind other Go8 universities. For decades we have put people before buildings, making our research facilities poor. We lack office space for our academic staff in faculties like Arts and Social Sciences, we lack decent and sufficient student accommodation, and our teaching facilities, as students keep telling us, are not always up to scratch.